The bite that you can see in the mouth is called a habitual occlusion. In habitual occlusion, the mandible is usually displaced a little to make the teeth fit. The body has neuromuscular reflexes that bring the teeth together to achieve a stable bite. The joints must adapt to this position, particularly when the teeth are crooked. Discrepancies are usually hidden and cannot be visualized accurately in the mouth because of this habitual occlusion the patient has long been accustomed to. Special instruments (facebow, articulator and CPI) and techniques are required to measure discrepancies in the joints. Spatial relationship of the maxilla (upper jaw) to an intracranial reference plane is recorded and transferred to an articulator. The bite is registered with the teeth out of contact, using a piece of wax. The relationship between the maxilla and mandible to the intracranial reference plane was reproduced on an articulator with the above two procedures. Occlusal discrepancies can be measured at the joint level using the CPI instrument. 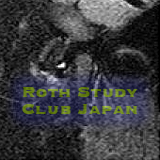 We, the study group members, measure jaw position in this manner in all patients at their initial visits, allowing us to visualize what we failed to see with the traditional orthodontic diagnosis. The intraoral photographs below show the patient's habitual occlusal position. The lower panel shows the models mounted on an articulator and the occlusal discrepancy measured by the above-described method at the initial visit. A major discrepancy was uncovered, indicating the importance of the diagnostic method we are using. A lack of harmony between the TMJs and tooth fit has detrimental effects on the related structures. We therefore formulate a treatment plan that enables us not only to straighten the teeth but to maximize harmony between the joints and tooth fit. The habitual occlusion shown in the upper panel and the bite on the mounted models were taken during the same initial visit. Treatment plans made from these two different occlusal positions would lead to quite different types of treatment. The one based on the habitual occlusion seen in the mouth would leave the hidden condylar discrepancy behind. The initial occlusal discrepancy measurement is done only for a screening purpose. When a TMD sign is found, further examinations are made even in an asymptomatic patient, let alone a symptomatic patient. Mandibular movements are recorded three-dimensionally. The movement pattern changes depending on the degree of occlusal stability. With this instrument, laxity of the condyle in the glenoid fossa can be examined. Cone-beam CT machines made in Japan have an accuracy of about 0.1 mm and require only 1/15 of radiation dose compared with medical CT. They can also limit the irradiated area. 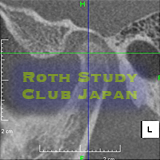 Radiation exposure during imaging of both TMJs is equivalent to that during a flight from Tokyo to New York. Radiation dose can be halved for children. Cone-beam CT provides a far greater amount of information with the capability of 3D image reconstruction than conventional radiography. This patient has posterior shift of the condyle in the fossa, suggesting anterior disc displacement. 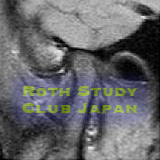 The MRI image shows that the disc is displaced anteriorly (anterior disc displacement). The disc can be displaced in different directions; medially, laterally, antero-medially and antero-laterally. Disc displacement is often present in children as well. In adults, there appear to be only a few with both discs in place. An inflammatory condition called joint effusion is frequently observed in conjunction with disc displacement. Joint effusion has been reported to be associated with pain.